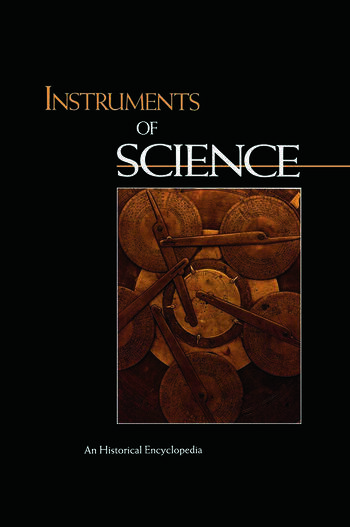 This authoritative reference covers 325 scientific instruments ranging from antiquity to the present, and from the mundane to the highly sophisticated. Entries explain how they work and trace their invention, development, distribution and use. Fully illustrated and complete with bibliographies, it will be particularly useful to students and scholars of modern science and technology. Reflecting contemporary practice, it examines instruments used for testing and monitoring, as well as those used for research, and even considers a number of widely used laboratory organisms (such as drosophila and e.coli) as instruments. Robert Bud holds a doctorate in the History and Sociology of Science from the University of Pennsylvania, and serves as Head of Research (Collections) at the Science Museum in London. His widespread publications on the history of chemistry and biotechnology include Invisible Connections: Instruments, Institutions and Science (l992), and The Uses of Life: A History of Biotechnology (l993). Deborah Warner holds a M.A. in the History of Sciences from Harvard University, and serves as Curator of Physical Science Collections at the National Museum of American History. Her widespread publications in the history of science and scientific instruments include Alvan Clark & Sons: Artists in Optics (1968; rev. 1996), and The Sky Explored: Celestial Cartography 1500-1800 (1979). She is also founder and editor of Rittenhouse, a quarterly journal of the American instrument enterprise.